Patient with 20/20 Snellen and no refractive error is unhappy with his vision. Why? The history is one of bilateral LASIK about a year or two prior that left him with night vision problems. He wants to be a police officer in a Canadian province. Employment restrictions include LASIK induced night glare that is tested for. The patient obviously wants to pass the physical and needs some insurance. He chose Laserfit lenses for his insurance. The key to solving the problem is in understanding the effects refractive surgery has on the vision. Unless perfectly centered and a good match between the dilated pupil and the size of the treatment zone is obtained, additional aberrations will be induced even when refractive error is totally eliminated. Such was the case with our patient. With pupils well over 7 mm in the dark, the higher order aberrations were elevated. Unfortunately there are few statistics for higher order aberrations and pupils larger than 7 mm. When corrected for pupil size, the aberrations weren’t much higher than the average for the normal population. This one promised to be a difficult case. It simply didn’t seem like he needed lenses. Or, did he? 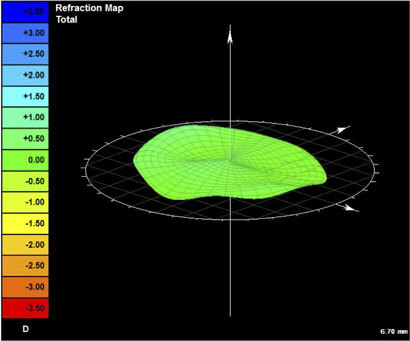 Adding to the challenge was the fact that the patient’s LASIK had been wavefront optimized or guided to accommodate his larger pupils. In many cases this will result in aberrations being higher with a rigid contact lens. It certainly turned out to be true in this case. Why does this happen? I use the analogy of a principle known as Javal’s rule which says that lenticular astigmatism figures into every prescription. Instead of lenticular astigmatism, we’ll call them lenticular higher order aberrations, the correction of which is now on the surface of the cornea. Therefore, when a contact lens is applied to the corneal surface, higher order aberrations are then induced. 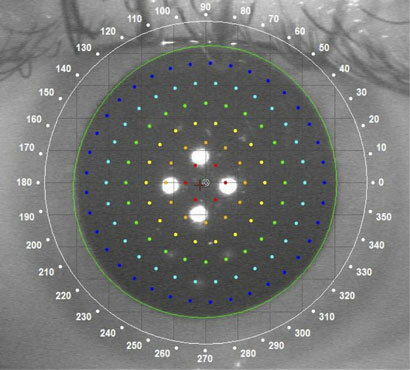 Additional aberrations are induced by scleral lenses because they rarely perfectly center. Those who fit scleral lenses know that they often decenter inferiorly. The large heavy lens tends to get pushed down by gravity and the upper eyelid forces. The optical result is a type of distortion called coma. The first step in the process, therefore, is to insure a perfectly-centering lens. We do this by taking OCT scans of the lenses on the eye. 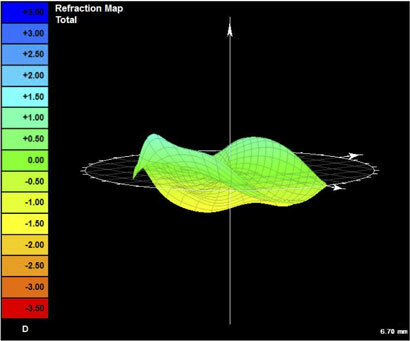 The amount and direction of the decentration can be measured using special software, and then compensated by careful positioning of the optics of the lens during the design. This is unique to the Laserfit process. 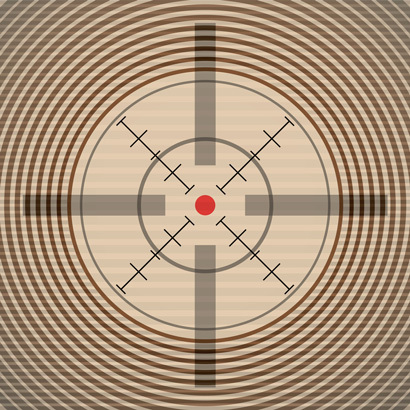 Along with the centering process, a wavefront-guided surface is generated for the optics, and the lens is assembled in the digital domain. We then check the aberrations again with the finished lenses, and perform a “tweak” of the optics as necessary. The result in this case was perfect 20/10 vision in each eye and possibly the fewest higher order aberrations we have ever recorded. It can truly be said that the only thing better than 20/20 vision is perfect vision, and this patient now had it. Patient who underwent LASIK, had 20/20 vision and no refractive error was unhappy with night vision. He also had dry eyes. 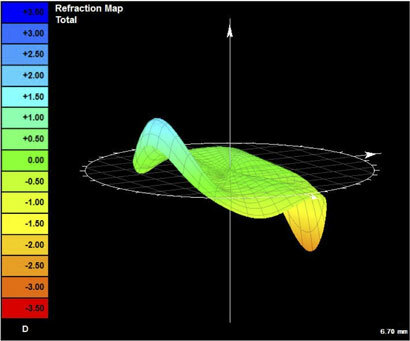 Analysis of higher order aberrations showed values within the normal range for a corrected 6 mm pupil size. 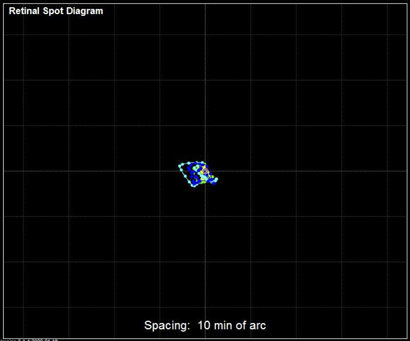 Initial scleral lens with regular optics increased the total higher order aberrations by more than 70%. Final Laserfit Lens with wavefront-guided optics resulted in close to zero higher order aberrations and 20/10 vision.